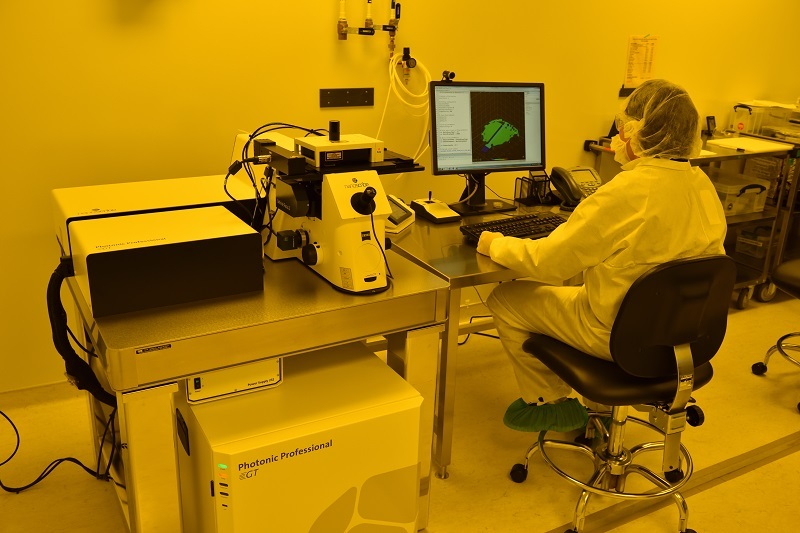 The Nanoscribe Photonic Professional is an easy-to-operate table-top laser lithography system that enables the fabrication of true three-dimensional nanostructures using commercially available photoresists. Designed for the fabrication of photonic crystal structures, the instrument is also ideal for, e.g., generating three-dimensional scaffolds for biology, micro- and nanofluidic circuitry. IP-dip, IP-S, IP-L, SU-8 (2001, 2001, 2015, 3050…), AZ4110, AZ4210, AZ4610, AZ5214 IR, S1805, and SC1827.